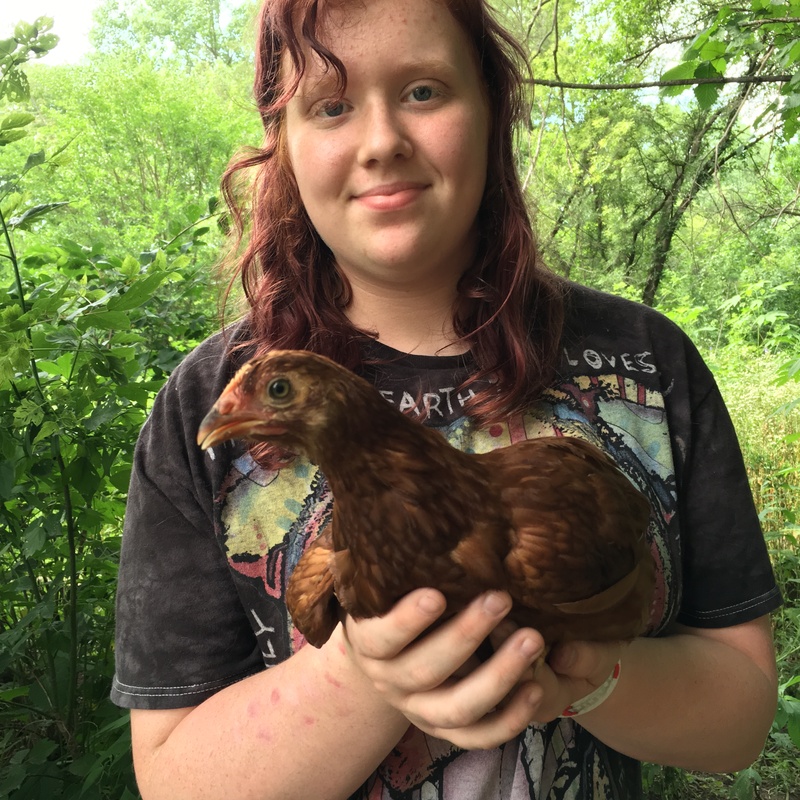 Her 13 year-old daughter, Makayla, had received two tiny chicks as a gift. At this point, the babies, named Daisy and Marigold, were about six weeks old. They had imprinted on sweet Makayla, who was a very attentive and caring (future veterinarian) Mama, but they were living in the family garage and, as Kristin said, “Pooping on everything!” She knew the time was quickly approaching when the chicks would need to leave their suburban home and find a new place among their brethren on a farm. Cockamamy to the rescue! On a Saturday in early July, I went to Kristin’s home to adopt the girls. Needless to say, Makayla was not terribly excited to see me. But I did my best to explain where her babies would be living, and that they would be joining a flock of 30, and how we would care for them. 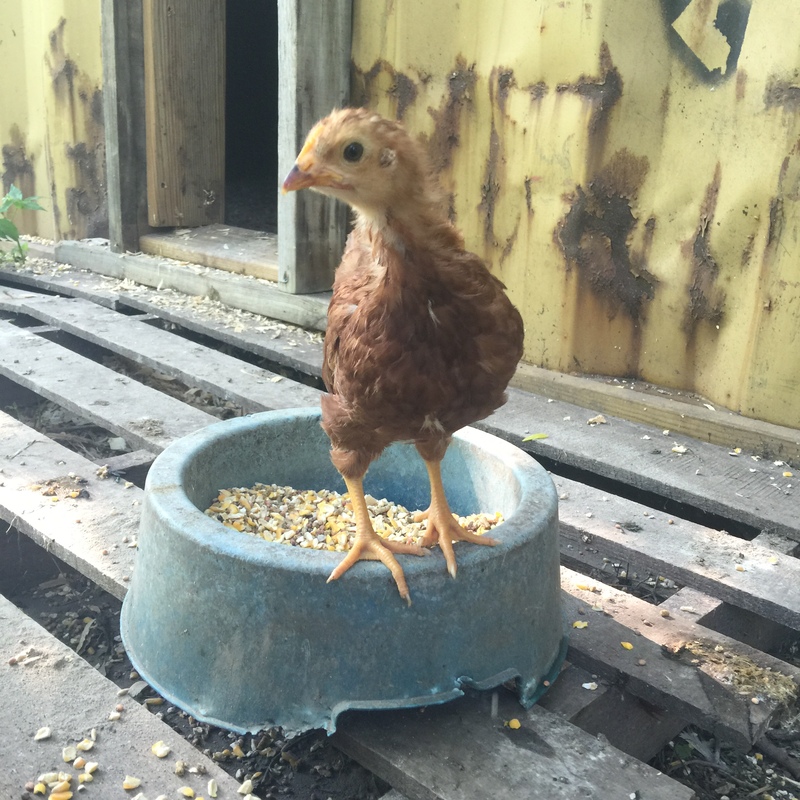 Daisy and Marigold, pictured above at one of her first days at Cockamamy, were kept in a crate for a few days inside the hen house so that the other ladies could adjust to them and they could acclimate to their new home. After a few days, they were let loose to graze with the larger birds. One wonderful thing about these two is that they were hand raised and are not afraid of humans. They love to be pet and held! Above, Ben’s mom, Beverly, is holding one of the ladies. 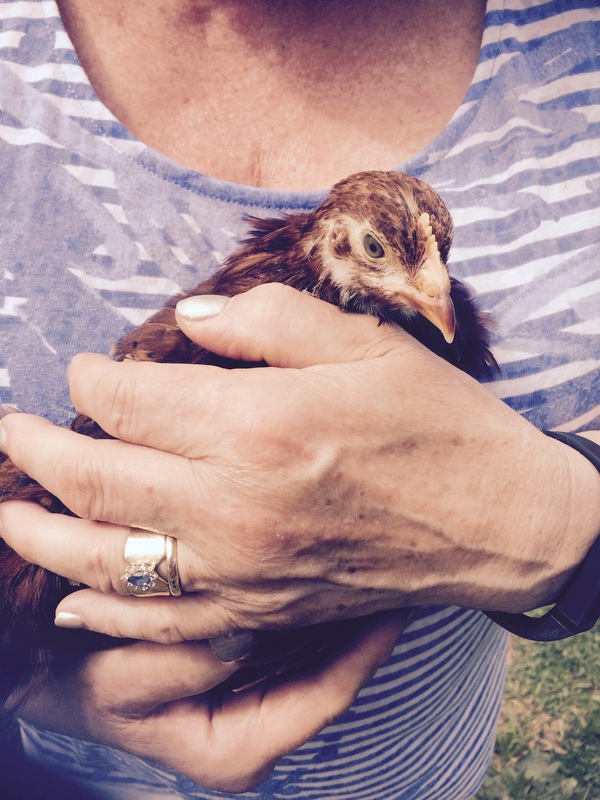 To understand the beauty of this moment, you have to understand that Beverly is terrified of chickens (the result of a traumatic childhood prank that took place on her grandparent’s farm). But she was able to hold and pet both girls because they were so calm and sweet. 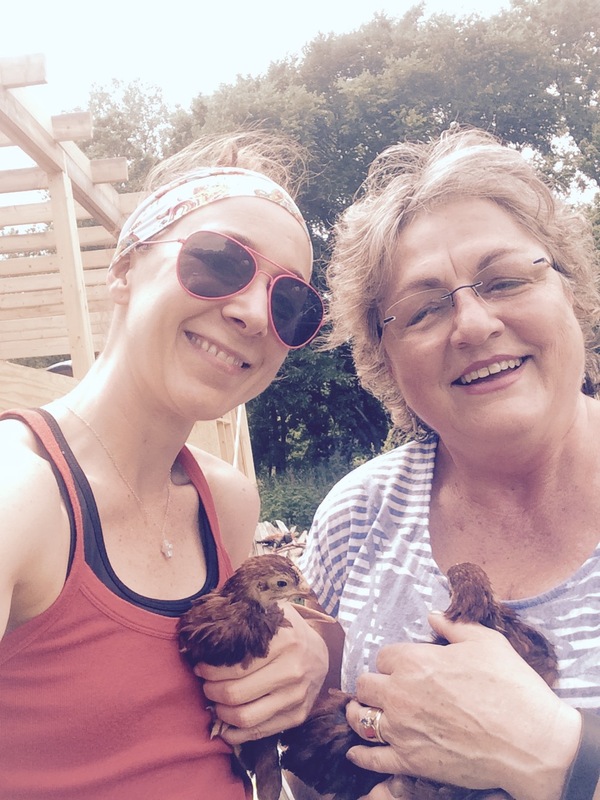 A few weeks ago, Kristin brought Mama Makayla to the farm to visit. 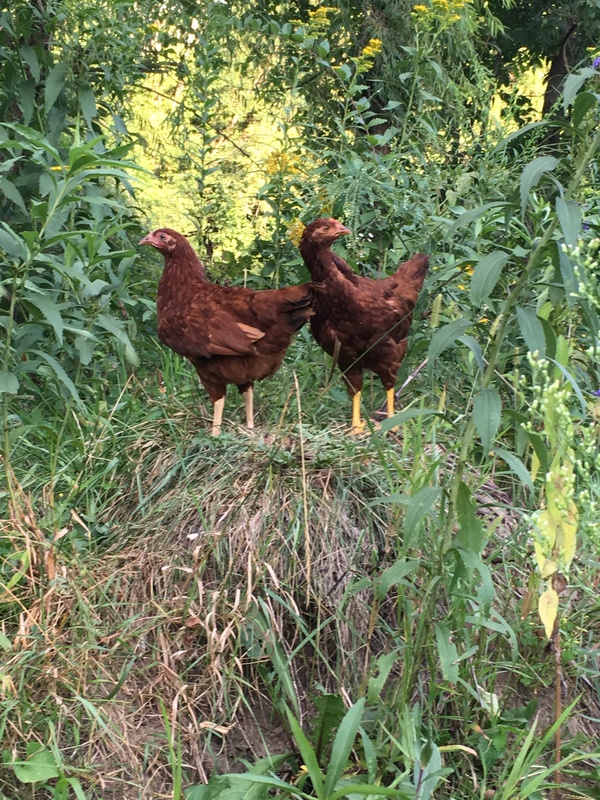 Daisy and Marigold (always together, never too far apart) were out pecking around with the other chickens. I encouraged her to call out to her girls. And at the sound of her voice, they came running! They remembered her and she was able to cuddle her now-not-so-tiny babies. Her sweet ways and obvious love for them—and for all animals, according to her mother—is obvious and inspiring! Daisy and Marigold are two lucky ladies, for sure! They won the human-parent lottery. 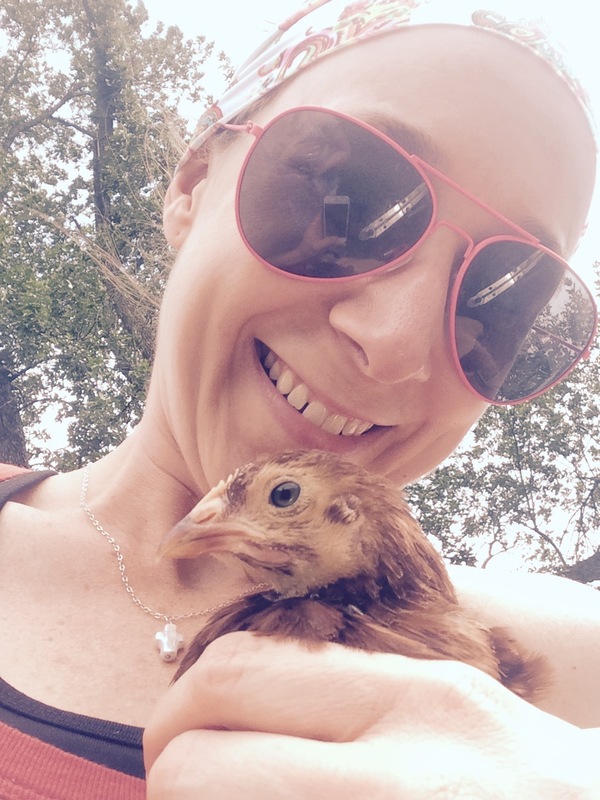 And we are so honored by Makayla’s trust in us and excited to have the pair as members of our Cockamamy flock! P.S. 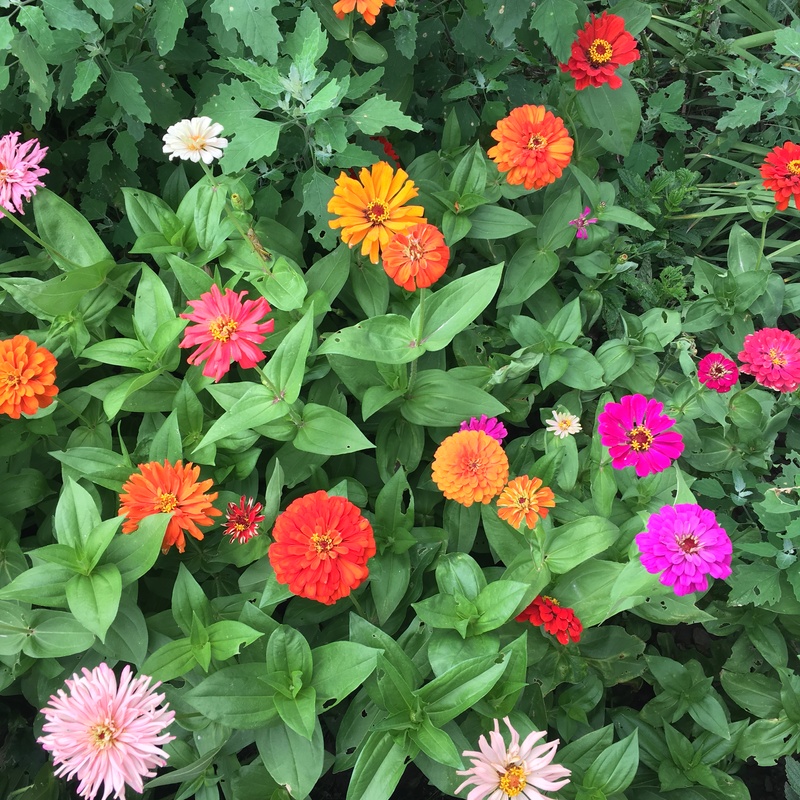 Beautiful Zinnias courtesy of my friend Joni, who sent me a couple of envelopes of seeds in my birthday card last fall. “Scatter these,” she wrote. I did. And I’m thrilled with the results!! Such a beautiful site to depart and come home to every day!